Mix refried beans and bean dip together and spread onto the bottom of a 9 x 13-inch pan. Next, mix sour cream (or yogurt) together with taco seasoning and cumin. Spread on top of the beans in the pan. 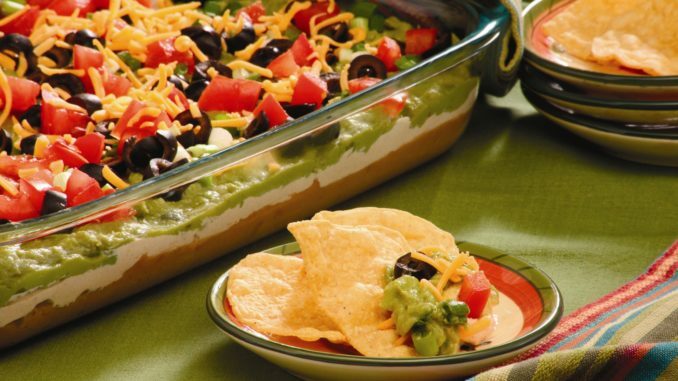 Spread guacamole on top of the previous layers then add olives, green onion and tomatoes. Top with the shredded cheese and serve with your favorite chips.